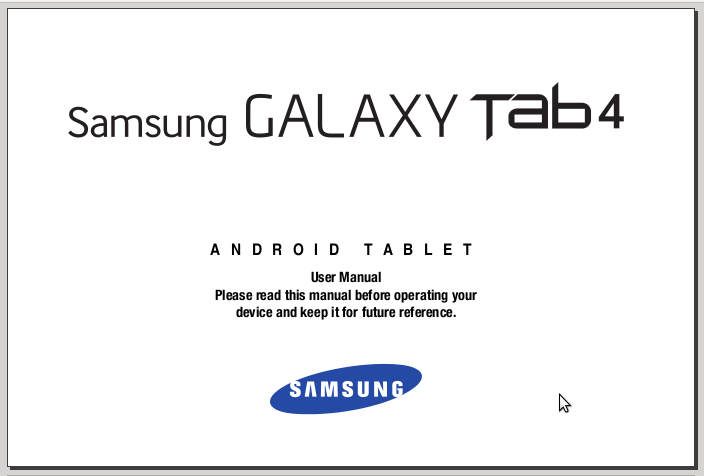 We have new information about the Samsung Galaxy Tab 4 7.0 SM-T230 manual aka user guide. 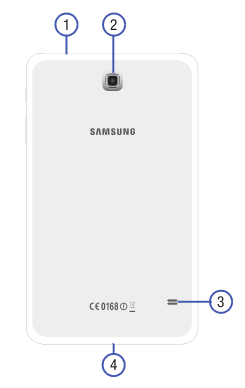 The manual has published by samsung.com. You can download in pdf format. As usual the manual also available in english language. It's consisting of 116 pages. Front-Facing Camera Lens: Takes photos or records videos. Power/Lock Key: Press and hold to turn the device on or off. Press to lock the device or to wake the screen for unlocking. 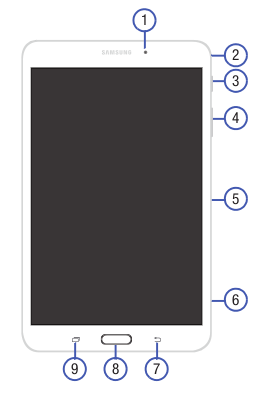 Volume Key: From a Home Screen, press to adjust master volume. During music playback, press to adjust volume. Infrared Blaster: Emits infrared signals used for controlling external devices. Memory Card Slot: Install a memory card for storage of files (not included). Back Key: Return to the previous screen or option. Home Key: Display the central Home Screen. Recent Key: Touch and hold to display recently used apps. 3.5mm Headset Jack: Plug in for headphones. Camera: Takes photos or recording videos. Speaker: Plays music, notification tones, and audio. Charger/Accessory Port: Plug in a USB cable for charging or to sync music and files. The Samsung Galaxy Tab 4 7.0 (SM-T230) user manual provide detail reference information such as tutorial how to Turning Your Device On and Off, Setting Up Your Device, Installing a Memory Card, Unlocking the Device, Securing Your Device,Locking the Device Manually. Then about tablet layout with key features, Navigating Your Device, Using the Touch Screen, using Samsung Account, using messages, Listening to Music, using camera, gallery, video, using Wi-fi and bluetooth, Updating Applications, using Chrome browser, dropbox, hancom viewer, maps, internet, play games, music, play store, using samsung apps, and phone settings guide like sound and display settings, lock screen, Backup and Restore, power saving mode, resetting phone and more.